When we begin our journals, I really try to emphasize the importance of neatness. Clean lines, neat handwriting, clear messages, etc. all make it much easier to find helpful information. We added our first journal entry together as we discussed what guidelines we should follow when writing in our journals. 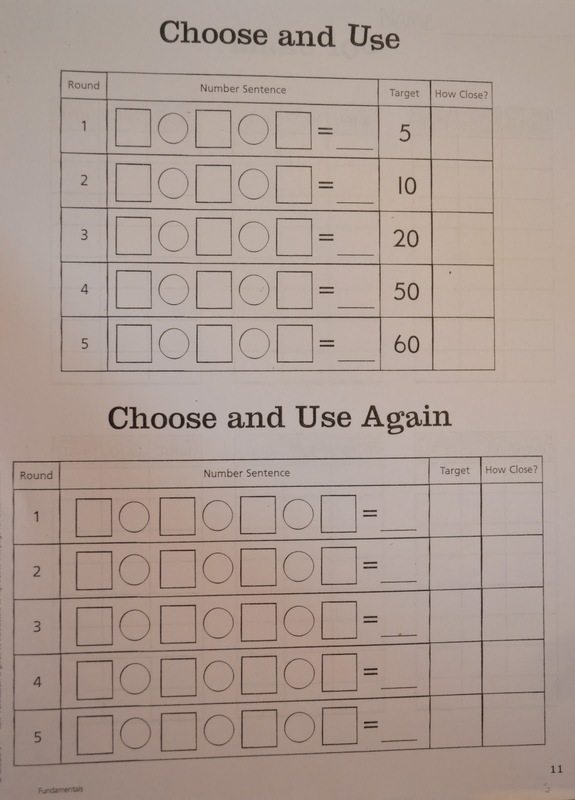 The student picked any two-digit number, and then completed three activities using it. 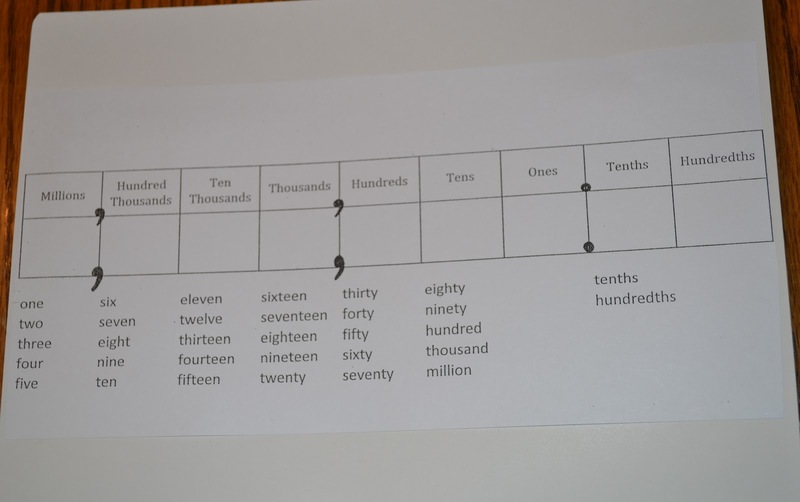 We walked through neatly dividing our page into three sections, giving each section a title, then completing the activity. What do I know about the number? How can I get to the number? and Word problem where my number is the answer. I kept in fairly simple, since the main goal was to discuss journal guidelines. 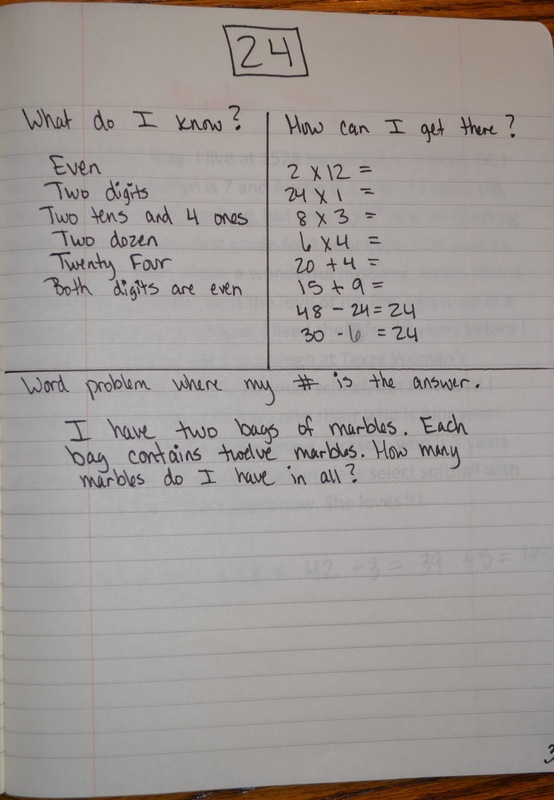 A pretty logical explanation for a 4th grader! Great thinking! 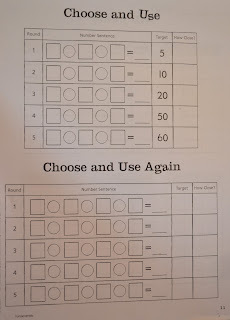 Yesterday I introduced how centers will work in my room. We always start small with only one center so we can discuss expectations and practice appropriate behavior. 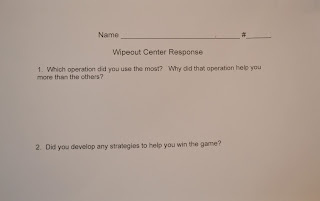 I introduced a new game called Wipe Out. 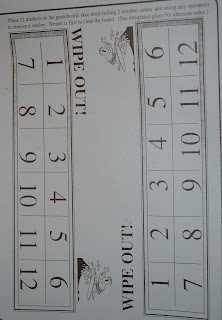 In this partner game, the kids cover up all the numbers with a marker. They take turn rolling two number cubes and using any operation to remover a marker. 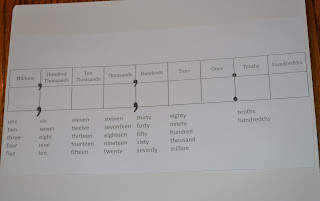 For example, if the child rolled a two and a three, he could add the two numbers and uncover the five, he could multiply to uncover the six, or he could subtract and uncover the three. The strategy comes in when they realize their first operation choice may give them an answer that's already been uncovered. They must then see if another operation will work. 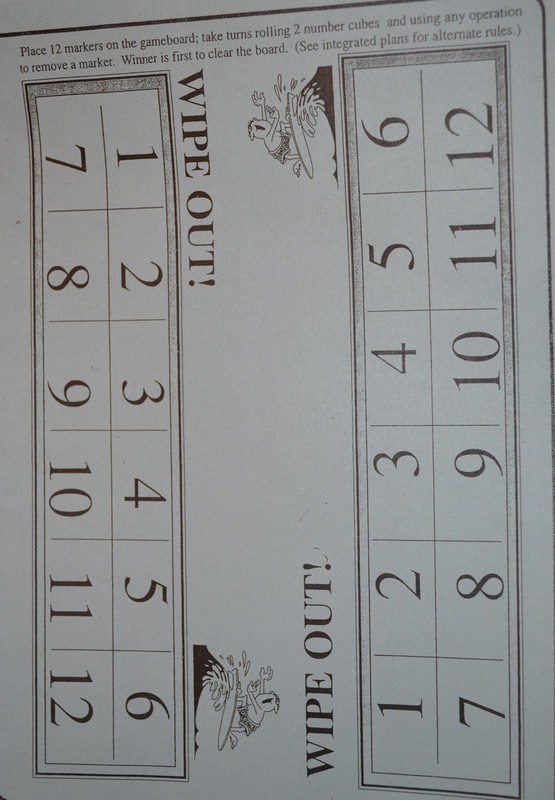 The winner is the first to clear the board. I always love to hear the discussion that comes with this game. They kids are always good about helping each other out! 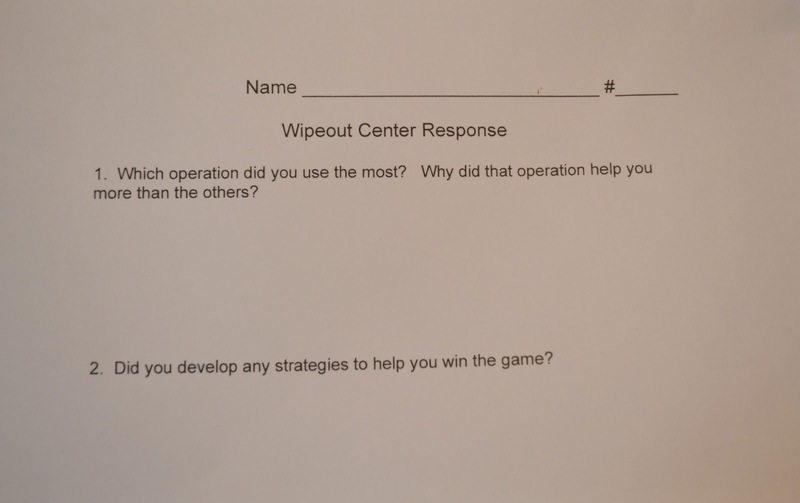 When the students finished playing the game, they were responsible for filling out the center response card. I try to always have some sort of accountability in my game centers. Because I'm pulling a small group in the back, and can't always see everything that goes on in the game centers. This just helps me see who really played the game, and who wasn't as involved as was expected. 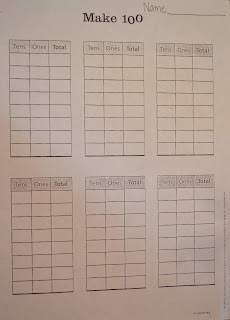 Well, on Tuesday we set up our Math and Science journals. We do TONS of work in our journals throughout the year, so it's important they be organized! Table of Contents is a must! I check the journals about every 3 weeks or so to make sure the dates/entries/page numbers are current. 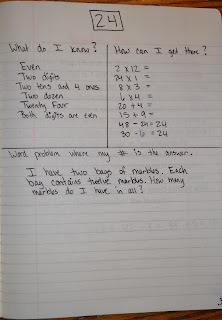 I find journals so helpful when the kids get stuck! They can always go back and help themselves by checking their notes. 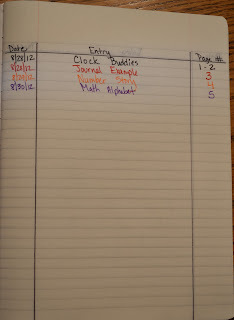 Journal entries are done together, and the rules (neat, complete, etc) are established the first day journaling begins! There is a table of contents in both the math and science journals. I've found that three pages front and back is plenty. 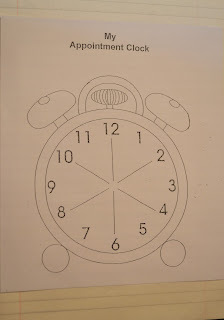 Also in both journals are four clocks to be used for clock buddies. I got this idea from a workshop presented by Nanci Smith. 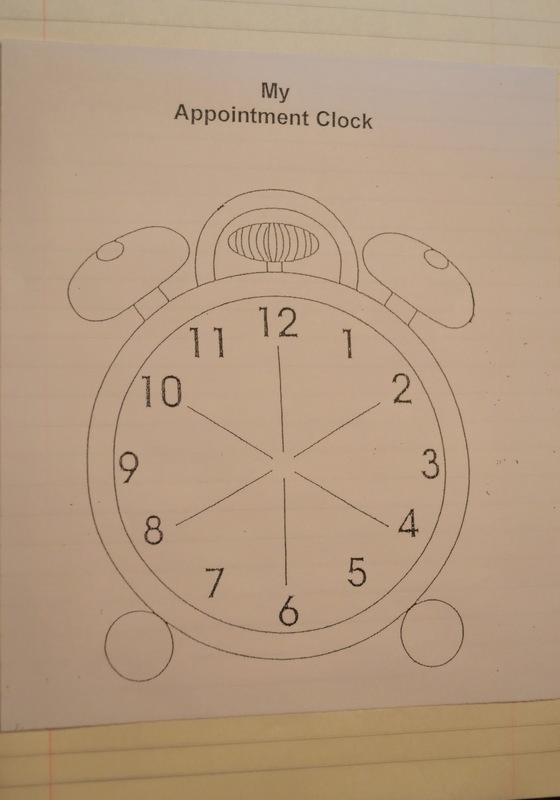 The idea is that you assign each student three clock buddies based on needs, and the students can pick the other three clock buddies themselves. There are four because the clock buddies are changed every quarter after you reevaluate your data and the students' needs change. I assign the students their 2, 4, and 6 o'clock If I wanted the students with someone specific, I would partner them up by saying, "Please partner-up with your 2 O'Clock buddy." 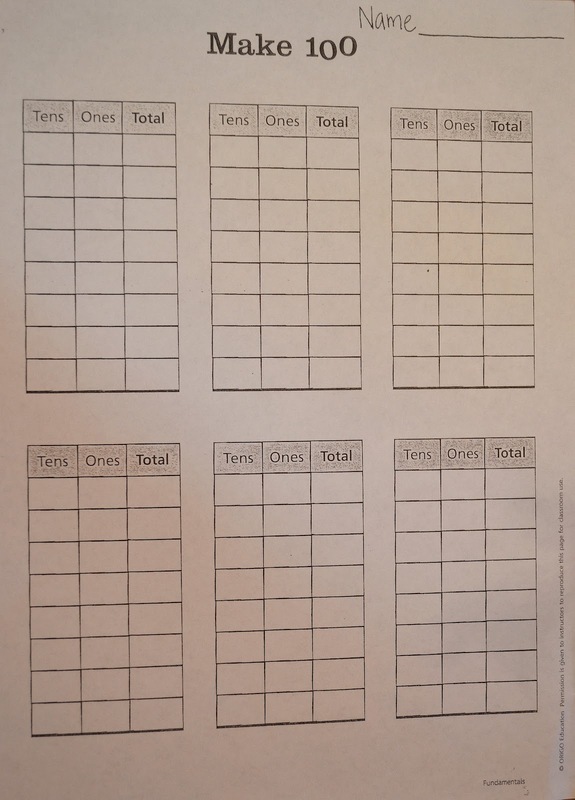 This is a great way to partner up with purpose, without labeling your kiddos the Bluebirds, Redbirds, and Buzzards. Ha ha!